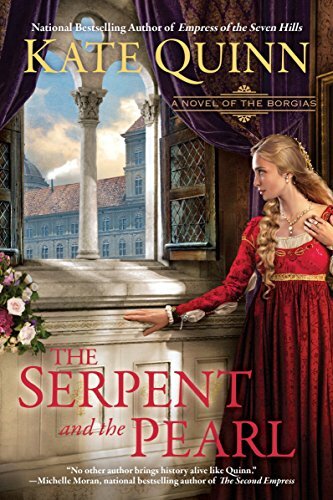 I’m still upset about The Borgias being cancelled, so after stumbling across The Serpent and the Pearl, by Kate Quinn, the first book in The Borgia Chronicles, at the library, I decided to give it a shot to see if it could ease my withdrawal a bit. 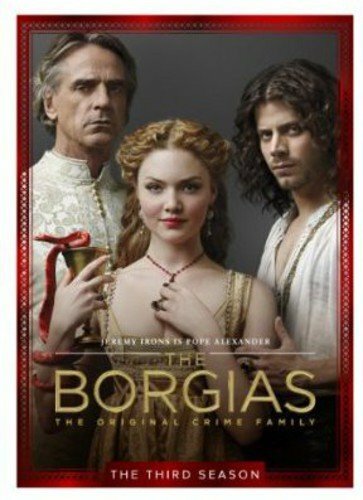 The Borgia Chronicles, which include The Serpent and the Pearl and The Lion and the Rose, are told from the perspective of Giulia Farnese, the celebrated Italian beauty and mistress of Rodrigo Borgia (Pope Alexander VI), and two fictional servants: Giulia’s cook Carmelina and her bodyguard Leonello, a dwarf who reminded me of Tyrion Lannister from Game of Thrones thanks to his sharp wit and love of books. Quinn’s Giulia starts out as a young and naive girl, but matures over the course of the series into a kind and caring young woman. She is an entirely different creature than the elegant Giulia of The Borgias or the energetic Giulia of Borgia: Faith and Fear, but I have to say, I like all three. So little is known of the real Giulia Farnese that any one (or none) of the three portrayals could be accurate. 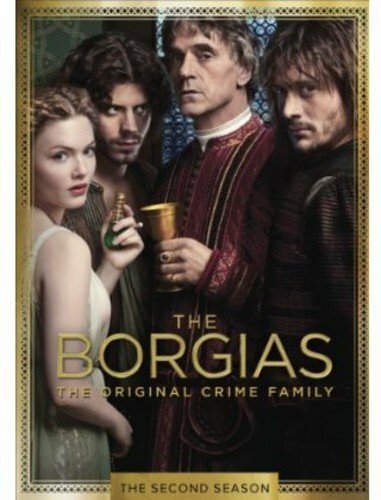 The Borgia family comes across fairly accurately, based on my understanding of their real life personalities, with one glaring exception related to the portrayal of Cesare in the first book that was resolved somewhat more satisfactorily in the second. Quinn has a very pleasant and absorbing writing style that’s rich in period detail and sensory descriptions that bring the era to life. I repeatedly found myself reading much more in a sitting than I’d intended! I especially enjoyed her mouthwatering descriptions of Carmelina’s cooking, which are based on actual recipes from cooks of the period such as Bartolomeo Scappi (who is also a character in the books). My biggest issue with the series was Quinn’s tendency to force me to suspend my disbelief over certain plot choices, which kept tossing me out of what were otherwise a pair of very enjoyable novels. I’ve already mentioned the issue with Cesare’s portrayal, which greatly marred my enjoyment of the first book, but though that eventually got resolved in a somewhat more probable manner, the second book went and did it again with an ending that seemed overly pat and tidy, not to mention improbable. 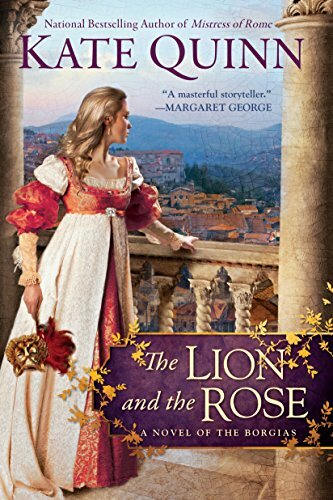 Despite having spent a third of the series reading Leonello’s thoughts, I never had the slightest suspicion that he was in love with Giulia, and I usually have a sharp nose for that sort of thing, so that seemed completely out of the blue to me. I could buy Giulia returning his feelings more easily, but despite the convenient sham marriage to the gay lord, I had trouble accepting that a noblewoman of Giulia’s era would just be allowed to shack up with a common dwarf for the rest of her life. Nor could I buy that Cesare would just take Leonello’s word that he’d killed Carmelina, given their history (however antagonistic it sometimes was). My romantic side was all fluttery and overjoyed that everybody ended up happy and free of their dangerous entanglement with the Borgia family, but my skeptical side was not so easily convinced. 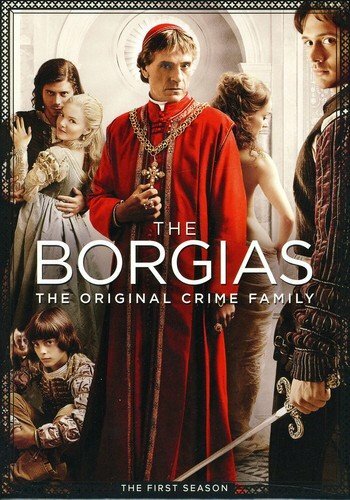 The Borgias is one of my favorite tv shows of recent years. Though its historical accuracy is mixed at best, it’s well acted, mostly well scripted, and gorgeous to look at in every respect. 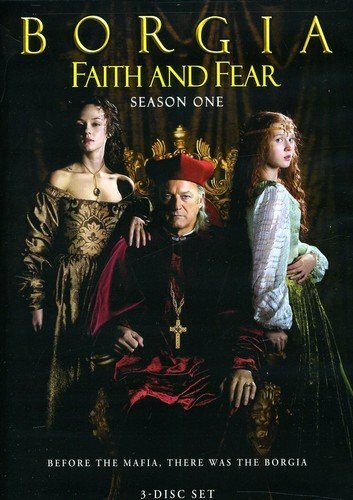 Jeremy Irons looks like he’s having the most fun of his career chewing the scenery as the notorious Borgia pope, Alexander VI, but the breakout star of the cast for me was Francois Arnaud as Rodrigo’s son Cesare. The show did suffer a bit from uneven pacing throughout its run, and season one is no exception, but overall it was a strong start.